Galaxy Virgo Cluster - Universe Galaxies And Stars Section. These planetary nebulae stars free floating in the otherwise seemingly empty space between the Galaxies of large clusters can be used as "probes" of the gravitational forces acting within these clusters. They trace the masses, visible as well as invisible, within these regions. This, in turn, allows Astronomers to study the formation history of these large bound structures in the universe. Clusters of Galaxies are believed to have formed over a long period of time by the assembly of smaller entities, through the strong gravitational pull from dark and luminous matter. The Virgo cluster is considered to be a relatively young cluster because previous studies have revealed small "sub-clusters of galaxies" around the major Galaxies Messier 87, Messier 86 and Messier 49. These sub-clusters have yet to merge to form a denser and smoother Galaxy cluster. Recent observations have shown that the so-called "intracluster" space, the region between Galaxies in a cluster, is permeated by a sparse "intracluster population of stars", which can be used to study in detail the structure of the cluster. The first discoveries of intracluster stars in the Virgo cluster were made serendipitously by Italian astronomer, Magda Arnaboldi (Torino Observatory, Italy) and her colleagues, in 1996. 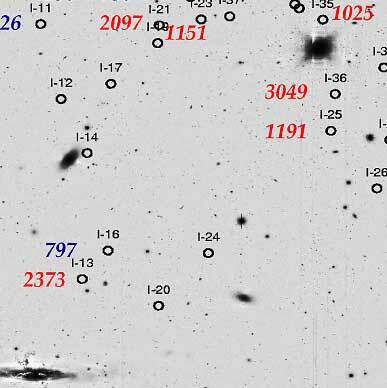 In order to study the extended halos of Galaxies in the Virgo cluster, with the ESO New Technology telescope at La Silla, they searched for objects known as "planetary nebulae" . In their study, the Astronomers found several planetary nebulae apparently not related to any Galaxies but moving in the gravity field of the whole cluster. These "wanderers" belonged to a newly discovered intracluster population of stars. Since these first observations, several hundreds of these wanderers have been discovered. They must represent the tip of the iceberg of a huge population of stars swarming among the Galaxies in these enormous clusters. Indeed, as planetary nebulae are the final stage of common low mass stars - like our Sun - they are representative of the stellar population in general. And as planetary nebulae are rather short-lived (a few tens of thousand years - a blitz on astronomical timescales), Astronomers can estimate that one star in about 8,000 million of solar-type stars is visible as a planetary nebula at any given moment. There must thus be a comparable number of stars in between Galaxies as in the Galaxies themselves. But because they are diluted in such a huge volume, they are barely detectable. Because these stars are predominantly old, the most likely explanation for their presence in the intracluster space is that they formed within individual galaxies, which were subsequently stripped of many of their stars during close encounters with other Galaxies during the initial stages of cluster formation. These "lost" stars were then dispersed into intracluster space where we now find them. The international team of Astronomers  went on further to make a detailed study of the motions of the planetary nebulae in the Virgo cluster in order to determine its dynamical structure and compare it with numerical simulations. To this aim, they carried out a challenging research programme, aimed at confirming intracluster planetary nebula candidates they found earlier and measuring their radial velocities in three different regions ("survey fields") in the Virgo cluster core. This is far from an easy task. The emission in the main Oxygen emission line from a planetary nebula in Virgo is comparable to that of a 60-Watt light bulb at a distance of about 6.6 million kilometres, about 17 times the average distance to the Moon. Furthermore intracluster planetary nebula samples are sparse, with only a few tens of planetary nebulae in a quarter of a degree square sky field - about the size of the Moon. Spectroscopic observations thus require 8 metre class Telescopes and spectrographs with a large field of view. The Astronomers had therefore to rely on the FLAMES-GIRAFFE spectrograph on the VLT , with its relatively high spectral resolution, its field of view of 25 arcmin and the possibility to take up to 130 spectra at a time. In the first field near Messier 87 (M87), the Astronomers measured a mean velocity close to 1250 km/s and a rather small dispersion around this value. Most stars in this field are thus physically bound to the bright Galaxy M87, in the same way as the Earth is bound to the Sun. Magda Arnaboldi explains: "This study has led to the remarkable discovery that Messier 87 has a stellar Halo in approximate dynamical equilibrium out to at least 65 kpc, or more than 200,000 light-years. This is more than twice the size of our own galaxy, the Milky Way, and was not known before." Ortwin Gerhard (University of Basel, Switzerland), member of the team, is thrilled: "Taken together these velocity measurements confirm the view that the Virgo Cluster is a highly non-uniform and unrelaxed Galaxy cluster, consisting of several subunits. With the FLAMES spectrograph, we have thus been able to watch the motions in the Virgo Cluster, at a moment when its subunits are still coming together. And it is certainly a view worth seeing!" The results presented in this ESO Press Release are based on a research paper ("The Line-of-Sight Velocity Distributions of Intracluster Planetary Nebulae in the Virgo Cluster Core" by M. Arnaboldi et al.) that has just appeared in the research journal Astrophysical Journal Letters Vol. 614, p. 33.
: The members of the team are Magda Arnaboldi (INAF, Osservatorio di Pino Torinese, Italy), Ortwin Gerhard (Astronomisches Institut, Universität Basel, Switzerland), Alfonso Aguerri (Instituto de Astrofisica de Canarias, Spain), Kenneth C. Freeman (Mount Stromlo Observatory, ACT, Australia), Nicola Napolitano (Kapteyn Astronomical Institute, The Netherlands), Sadanori Okamura (Dept. of Astronomy, University of Tokyo, Japan), and Naoki Yasuda (Institute for Cosmic Ray Research, University of Tokyo, Japan). : Planetary nebulae are Sun-like stars in their final dying phase during which they eject their outer layers into surrounding space. At the same time, they unveil their small and hot stellar core which appears as a "white dwarf star". The ejected envelope is illuminated and heated by the stellar core and emits strongly in characteristic emission lines of several elements, notably oxygen (at wavelengths 495.9 and 500.7 nm). Their name stems from the fact that some of these nearby objects, such as the "Dumbbell Nebula" (see ESO PR Photo 38a/98) resemble the discs of the giant planets in the solar system when viewed with small telescopes. : FLAMES, the Fibre Large Array Multi-Element Spectrograph, is installed at the 8.2-m VLT KUEYEN Unit Telescope. It is able to observe the spectra of a large number of individual, faint objects (or small sky areas) simultaneously and covers a sky field of no less than 25 arcmin in diameter, i.e., almost as large as the full Moon. It is the result of a collaboration between ESO, the Observatoire de Paris-Meudon, the Observatoire de Genève-Lausanne, and the Anglo Australian Observatory (AAO).